Novelization by Steve Moore, based on the graphic novel illustrated by David Lloyd and published by Vertigo/DC Comics. Based on the screenplay written by the Wachowski Brothers. Content: The audio intro says this book is based on the graphic novel based on the screenplay by the Wachowski Brothers. As such this is a VERY in-depth, fleshed-out and thoughtful portrayal. After listening one would think that the based-ons could easily have been reversed, as this book is not a mere description of a movie, but an insightful exploration of all the themes and issues. My highest kudos to the author for doing so. I had seen the movie previously and look forward to seeing it again, as the book seems faithful to the plot, to my recollection. As a story, both book and movie have a near-term, futuristic setting with enough mystery, suspense, and action that appeals to my personal tastes. Fascism, anarchy, and "V"engence certainly give it a serious side, with enough references to current day England and several pointed jabs at America to express its opinions. I highly recommend it as a thought-provoking AND entertaining tale. I like a good dystopia. 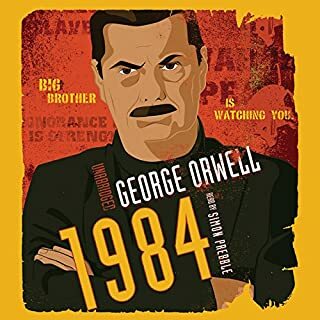 1984 is my favourite work of fiction and I listen to it several times avery year. This work is not quite at the same standard but is pretty close because it is, sadly, just as plausible as Orwell's vision. A bit wierd to have a book based on a comic (graphic novel) which was itself based on a film script but it never feels like its derived from anything else. It feels like an original and very well constructed original idea. And a well written one at that. The narration is excellent, clear and with enough characterisation to aid comprehension without being intrusive. Anybody with a taste for the future should read this. Just a fantastic story with the Perfect Reader, really unexpected when I was browsing the site. I have listened to this repeatedly in the background and still been as entertained as the 1st time I listened to it. Excellent Characters in a not too distant/ possible time of horrible ruling and abuse of power made you feel like joining in on the march yourself. I thought this book was outstanding and a great compliment to the movie. Of course I love the movie, so perhaps my opinion is not completely objective. Now having said that this book (and movie) is more of an Orwellian 1984 spin-off than an allegory of our current political atmosphere. It is a warning of what might be without diligence, not of what is happening now. To review a political philosophy as opposed to the book is unfair and more than a little disingenuous. The lust for power is not a political ideology of right or left it is a human trait. I love, love, love this movie. I usually re-watch it a couple times a year. When I saw this book on sale, I thought, why not? At first it reads just like the movie, word for word. Once you get into it, it starts to give you more. In a movie you must have dialog to convey thoughts, feelings and intent. Not so with a book. This book gives a little more backstory to most of the characters and lets you in on their thoughts. Most of the time I love the book and hate the movie, but you can't go wrong when the book was written based on a movie that is already awesome. It's a win/win. I would still like to read the original graphic novel, though. Without question. I am someone who believes that authority deserves no deference and should be challenged at every turn. This book definitely makes you think about authority gone wrong, and shows you how easy it is to find yourself in such a situation. On a less political note, the author does a masterful job of teasing you with a thought, and making you work and wait for the answer! 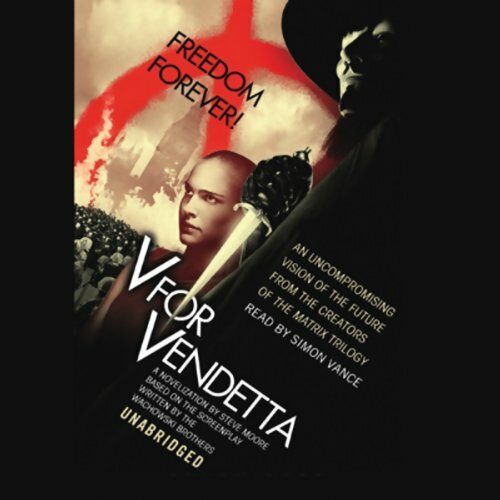 What was one of the most memorable moments of V for Vendetta? I have to say, finding out why he is called "V" was the best part. Love Simon Vance. He is up there with George Guidall. Who was the most memorable character of V for Vendetta and why? Although it isn't right to call him the antagonist, the Police Detective is my favorite character. I love how the relationship between he and V develops and matures. This story spoke to my soul. In this time of governments lying to their people about everything possible, this story gives hope to the common man. While it is still fiction and a illustrated novel (comic book)story at that, it is still a great story. If you didn't see the movie, then the book is a great way to get the total experience. While the movie is also excellent, the book does have a little more than the movie. I got my five dollars worth. I got this thinking it was based on the original comic by Alan Moore, but actually it's based on the graphic novel based on the movie, and bears little resemblence to the comic. My fault for not reading the description clearly enough! Still, I got it on special for $5 so I really can't complain. The narrator does a good job, and the story's okay. 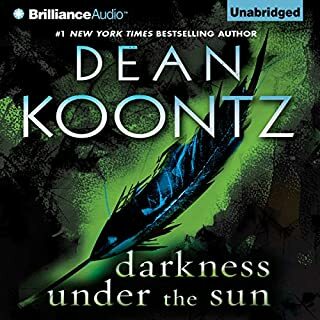 Did not live up to expectation, I enjoyed the movie but found the audiobook lacklustre and had to force myself to finish it. Narration was good except for the voice for Evey, it really grated on my nerves - too whinny and high pitched. Maybe this is what put me off the audiobook? Whilst we don't find ourselves in quite the same world as V and Evey it doesn't take too much of a leap of imagination to get us there. A fascist state ruling by fear, by controlling the media and by the use of scapegoats. The justice system and Parliament have long since stopped serving the people but the people have to go along with it to save the country from catastrophe. Mmmm. A great listen and uplifting in an odd way. Well read by Simon Vance. Simon Vance's narration really brings this book to life - suiting the main character of V down to the ground. 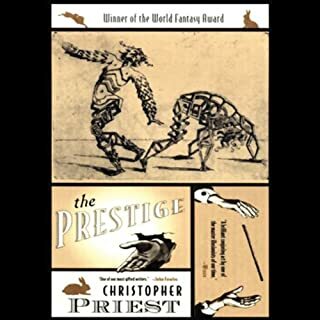 The pacing is excellent, and the book itself is gripping from start to finish. I found that I was sucked in to the storyline far more than is usual, and some of the sadder portions of the book had me in tears. 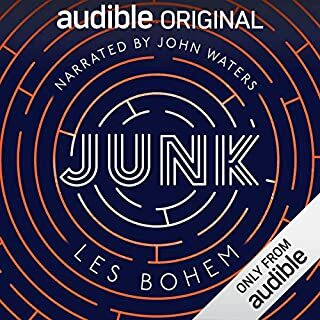 The best audiobook that I've had the pleasure of listening to! Well written, well narrated though I always find a male narrator speaking female characters' parts slightly distracting, and very true to the film. A painfully appropriate listen for today too, in the bizarre world of politics we find ourselves in. This tie in novel written by a fairly talentless ghost writer is faithful to the film that Moore had nothing to do with but is a pointless and sub standard addition. If you liked the film read the original comic book (which is much better) and stay clear of this waste of time. Its almost worse than a Dan Brown book. Definitely not for anyone over 14. Exceptional narration. Preferred it to the film. Exceptional narration. Preferred it even to the film. 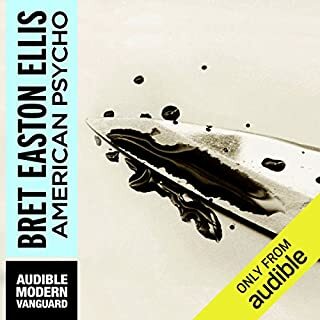 Possibly the easiest audiobook to listen to that I've ever listened to. 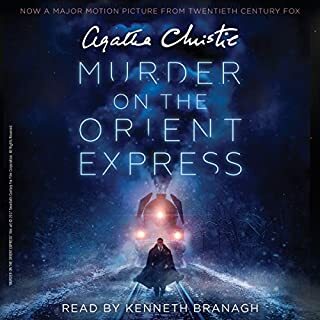 I had previously watched the film so knew the plot, but this made no difference to my enjoyment of this audio book because Simon Vance's narration was so brilliantly done and the ideas been the story so inspiring that I found it very moving. I am amazed at Steve Moore's almost poetic writing that so deepens the original screenplay. I couldn't want for a better audiobook experience. Gripping and exciting in the scale of its ambition.